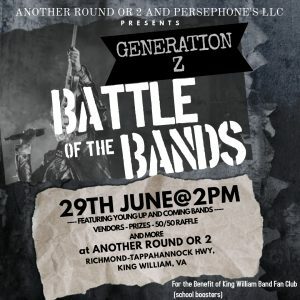 Persephone’s, LLC and Another Round or 2 Bar & Grill are sponsoring a fundraiser for the King William High School Band Fan Club. We can’t do it alone so we are asking for your help. There are lots of ways to get involved…reach out and let us know if you want to get involved! Just want to help by showing up and supporting the bands? 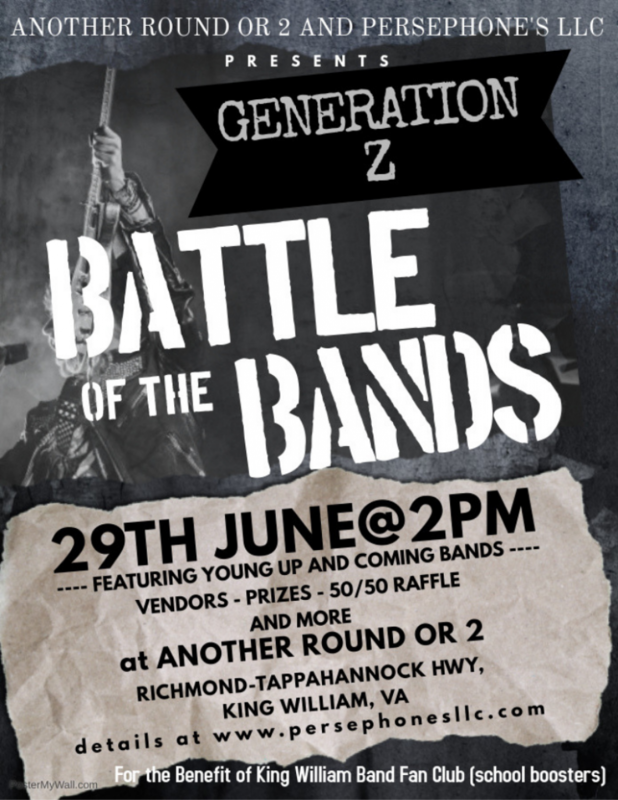 Your vote will help us determine our winning bands…just $5 at the door.